Subscribe to the Listhost Check out this PowerPoint presentation on Winning Words! Welcome to the Winning Words Precollege Philosophy Program! Winning Words is a public ethics program of the University of Chicago Civic Knowledge Project, which is in the University’s Office of Civic Engagement. In Winning Words, students and faculty from the University of Chicago facilitate provocative and meaningful activities and projects with children and young people across Chicago’s mid-South Side. Winning Words works with underserved school and community center populations on the South Side to promote a more diverse and inclusive form of philosophy for young people. We serve students ranging in age from second grade to 12th grade, and our aim is to facilitate meaningful philosophical conversations that address and avoid the pervasive racism, sexism, and Eurocentrism of traditional academic philosophy in the U.S. and other parts of the world. Winning Words works with all precollege age groups, from second through 12th grade, offering high quality, diverse and inclusive philosophy instruction, including environmental philosophy instruction, both on the campus of UChicago and on site at schools, community centers, foundations, churches, and more. Participants practice a form of the famous Socratic method, engaging in the arts of philosophical dialogue and conversation, and they work in communities of inquiry fostering ethical and political reflection, meaningful self-expression, and critical thinking. 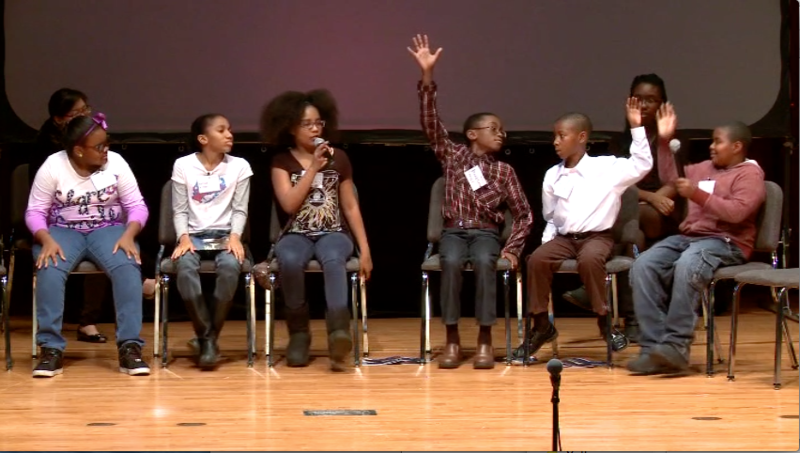 They are also given the opportunity to participate in “Ethics Bowl” tournaments! Philosophy, whether regarded as the love of wisdom, inquiry into how to live one’s life, or the effort to achieve a critical perspective on the Cosmos, can be both good for its own sake, as a vital part of the good or rightly lived life, and a valuable tool for enhancing academic performance, improving reading and writing skills, class participation, analytical reasoning, and more. 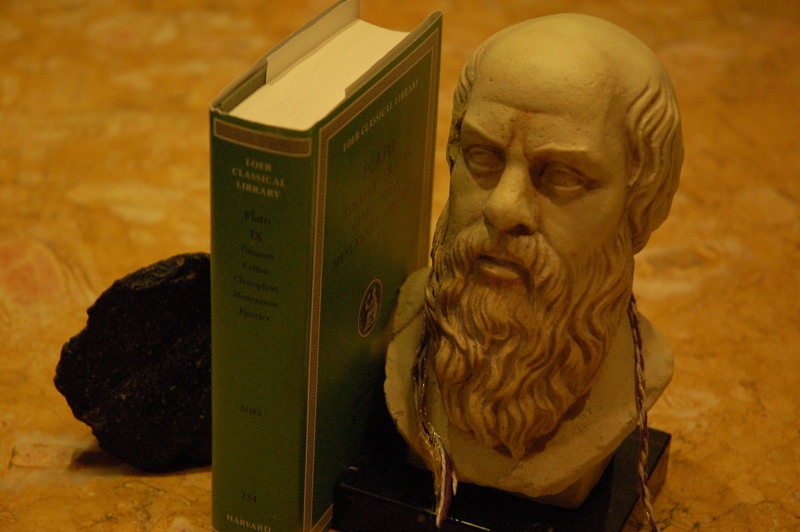 Winning Words works in close collaboration with the Philosophy Learning and Teaching Organization (PLATO), which is dedicated to promoting precollege philosophy across the U.S.—see http://www.plato-philosophy.org/why-plato/ for more information on the value of precollege philosophy. With Socrates, we believe in the examined life. With the famous American philosopher John Dewey, a founding figure at the University of Chicago, we believe in learning by doing, breaking down the barriers between school and society, and building a more deliberative and reflective democratic community. With CKP philosophical friends Timuel D. Black and Danielle Allen, we believe in talking to the elders and the neighbors in the place we call home. To get a better sense of Winning Words, please check out the inaugural issue of our Winning Words Magazine, the latest issue of our Winning Words Magazine, and the introductory lesson plan for the Winning Words Rainbow Curriculum, reflecting the Winning Words commitment to diversity in philosophy! If you are interested in volunteering or interning with the Winning Words Program, please contact Bart Schultz, the Executive Director of the Civic Knowledge Project, at rschultz@uchicago.edu. If you have used the Pathfinder system, please indicate which job description you are interested in. We are always eager to work with students, teachers, administrators, and parents to help promote precollege philosophy! The video of the Winning Words Initiative Inaugural conference, held on November 2, 2013 on the campus of the University of Chicago, is available here: Winning Words Initiative Conference Video Pt. 1. The conference schedule can be found here: Conference Schedule. And please like us on Facebook, Civic Knowledge Winning Words!